Income growth is a key factor that promotes household formation, generating rental and home buying demand. A significant amount of pent-up housing demand exists, but for it to be unlocked additional gains in wages and other income sources must be realized. Household income typically follows a life-cycle pattern of growing with age, as skills and seniority grow, followed by later declines in earnings as retirement occurs. While in recent years household balance sheets have improved with home price gains, declines in incomes persist despite some recent improvements. The chart above plots annual median income (in 2013 dollars) change by age from the U.S. Census Bureau Current Population Survey. All age groups, with the exception of those above age 65, continue to experience lower incomes than in 2007. 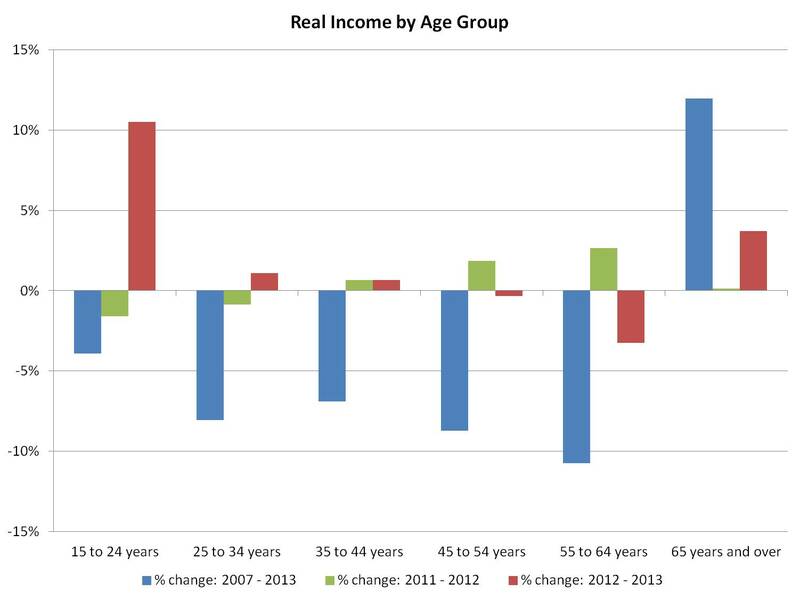 A notable, positive change in 2013 is that younger households (those under age 35) realized income gains. For example, for individuals in the key household formation period of age 25 to 34, a 0.87% decline in median income in 2012 reversed to a 1.1% increase in 2013. If these improvements continue, it will be good news for housing demand going forward. 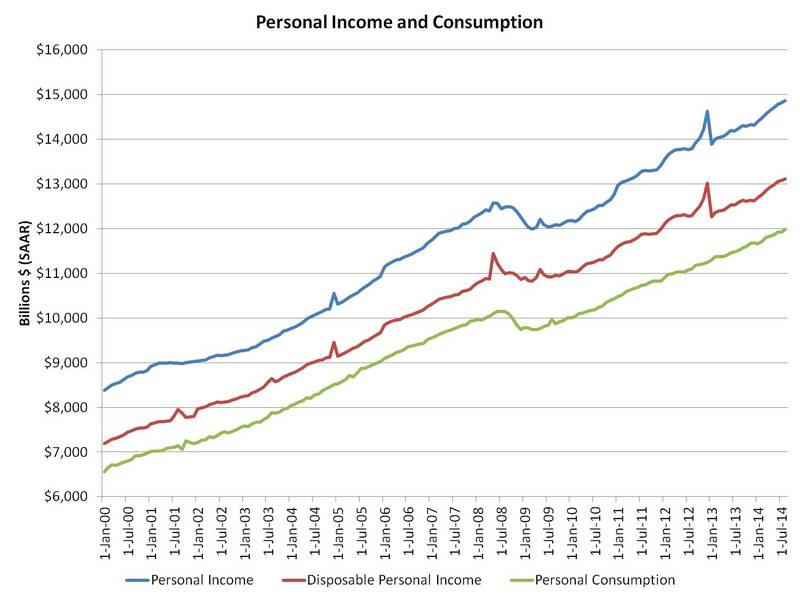 From a macro perspective, August data from the Bureau of Economic Analysis reported an inflation adjusted 0.3% increase in both personal income and disposable personal income (income minus personal taxes). On a nominal basis, the seasonally adjusted annual rate of disposable income is up 4% over the last 12 months. Personal consumption expenditures increased by 0.5% in August, with durable good purchases increasing 1.9%. According to the BEA, purchases of autos and auto parts account for half of that monthly gain.